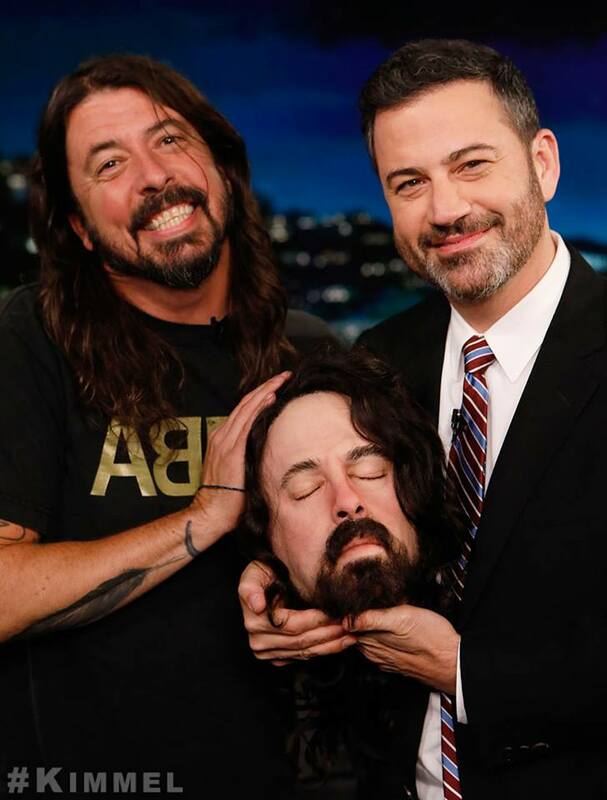 Dave Grohl discussed the upcoming release of his new film project, “Play”, during an August 2 guest appearance on ABC-TV’s Jimmy Kimmel Live. Due August 10, “Play” documents the inspiration and live recording of a solo 23-minute composition by the Foo Fighters leader that sees him perform the song on seven instruments over the course of three days in the studio. The entire song was played by Grohl, each time on a different instrument, live for 23 minutes. Beginning with the recording of the entire drum track purely from memory, with no sheet music or guide tracks, followed by guitar, then bass, then keyboards, and so on… Grohl tasked himself with a one-man-band recording session that was forced to start from the very beginning of the 23-minute song any time the slightest mistake was made or if Grohl felt he could do a better take. "I don't read music, so I had to memorize this 23-minute long instrumental," Grohl told Kimmel. “It was really just to see if I could pull it off, if I could do those full takes without making any mistakes and actually memorize that much music. Grohl also spoke about performing with Alice Cooper on the late night program when the Foos frontman filled in for Kimmel last Halloween, the band’s Cal Jam 18 festival in October, and shared a story about jamming with Prince at The Forum in Los Angeles. The Foo Fighters just wrapped up the summer leg of their “Concrete And Gold” North American tour with a pair of shows at Chicago’s Wrigley Field – which included a guest appearance by Cheap Trick guitarist Rick Nielsen – and will begin a fall run at Safeco Field in Seattle, WA on September 1.